It was always evident that Liam Brady was going to be a top class footballer. His uncle Frank was an Ireland international as was his brother, Ray, while another one of his brothers, Paddy, also played top class football in England. 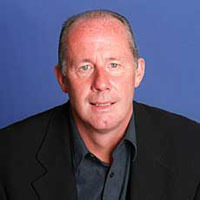 Brady joined Arsenal as a 15-year-old in 1971, making his debut two years later. He was a crowd favourite from the start at Highbury though trophies were noticeably lacking - his only success the FA Cup victory in 1979. He joined Juventus in 1980 and went on to play for Sampdoria, Inter and Ascoli before returning to England with West Ham United. Last 10 games in which Liam Brady scored. Games in which Liam Brady was a Substitute.